OverviewTake control of the lovable but mute protagonist Crono in this time-spanning collaborative effort from Square and Enix. 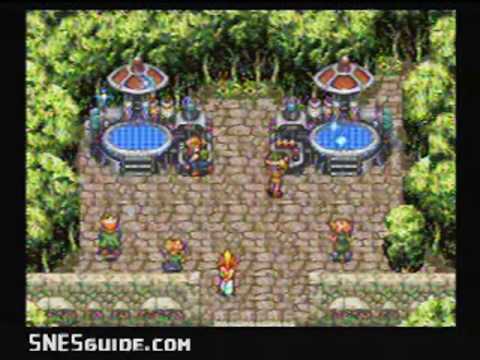 Chrono Trigger follows the exploits of Crono as he and his friends attempt to save the world from a planet-devouring alien creature. 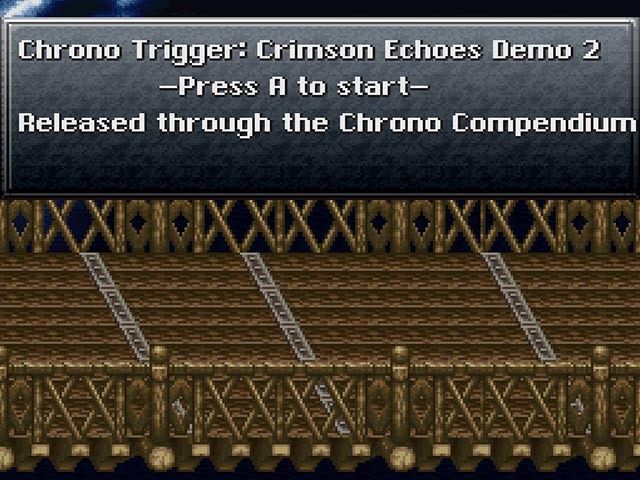 Chrono Trigger is an RPG game of the more epic with great adventure where Chrono will know a girl who, by accident, will take you to live the greatest adventures through time, get ready for the more exciting that will live through this game more famous of Squer Soft. Now you can add videos, screenshots, or other images (cover scans, disc scans, etc.) for Chrono Trigger (USA) [Hack by Kajar Laboratories Demo 2] (~Chrono Trigger - Crimson Echos) to Emuparadise. Do it now! If you haven't noticed yet, we have a retro game of the day feature (top-right of the screen) wherein we feature a new retro title every single day! Now, you can vote for your favorite games and allow them to have their moment of glory. Click on the button below to nominate Chrono Trigger (USA) [Hack by Kajar Laboratories Demo 2] (~Chrono Trigger - Crimson Echos) for Retro Game of the Day.